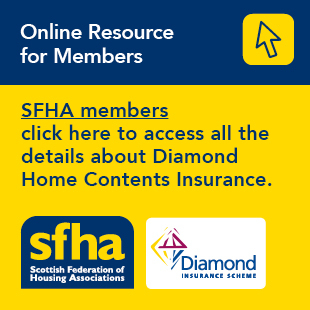 Commenting on the decision by the Office for National Statistics (ONS) to reclassify private registered providers (known as Registered Social Landlords – RSLs – in Scotland) from ‘private non-financial corporations’ to ‘public non-financial corporations’, the Scottish Federation of Housing Associations (SFHA) said it is confident that the measures which it understands the Scottish Government will introduce in the forthcoming Housing Amendment (Scotland) Bill will address any problematic issues created by reclassification. Commenting on the decision (1) today (Thursday 29 September) by the Office for National Statistics (ONS) to reclassify private registered providers (known as Registered Social Landlords – RSLs – in Scotland) from ‘private non-financial corporations’ to ‘public non-financial corporations’, the Scottish Federation of Housing Associations (SFHA) said it is confident that the measures which it understands the Scottish Government will introduce in the forthcoming Housing Amendment (Scotland) Bill (2) will address any problematic issues created by reclassification. “Although the ONS today announced its decision to reclassify Scottish RSLs, all of which are housing associations or co-operatives, as ‘public non-financial corporations’, we are aware that Scottish Government will be taking legislative steps designed to effectively reverse this decision and ensure that it will be ‘business as usual’ for our members going forward. “As was the case in England, the ONS decision is based on certain powers available to the regulator, which in our case means the Scottish Housing Regulator, which appears to give the state an element of ‘control’ over RSLs. “We will, of course, carefully examine the substance and detail of the ONS’s decision, but we confidently anticipate that the measures to be introduced as part of the forthcoming Housing Amendment (Scotland) Bill will address this issue. The changes made over the years to the regulatory framework have already achieved a degree of separation of housing associations from public control, so future changes will be consistent with that trend.